If you are a business traveller and have had enough of impersonal hotel rooms, make a change and stay at Tower House 1066. 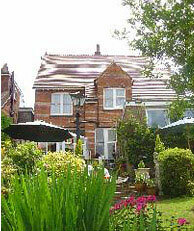 We provide 4 star silver St Leonards (Hastings) accommodation. We offer business travellers a calm and welcome retreat after a busy day. Our en suite rooms are beautifully designed with Egyptian linen, white bathrobes, luxury toiletries, comfy king-size duvets and hospitality trays so you can retire in comfort. You can kick back and relax in the evening sun of the garden. Or catch up with work by the fire in winter in our cosy guest lounge. 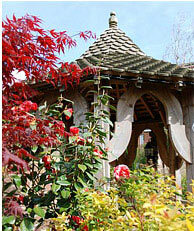 If you are planning a working group break, we also have meeting facilities for small groups. Indulge in a traditional Sussex or gourmet breakfast, all freshly cooked, so there's no hanging around in the early morning queue for the hot plate buffet. Wake up relaxed, with fresh coffee, tea or herbal infusions - ready to tackle your next big project. 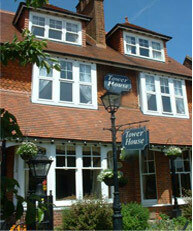 Why not enjoy the warmth and personal service of our St Leonards (Hastings) accommodation on your next business trip? Book online or contact us with any further questions.